Phone Paula on to view this semi detached villa situated close to all local amenities. 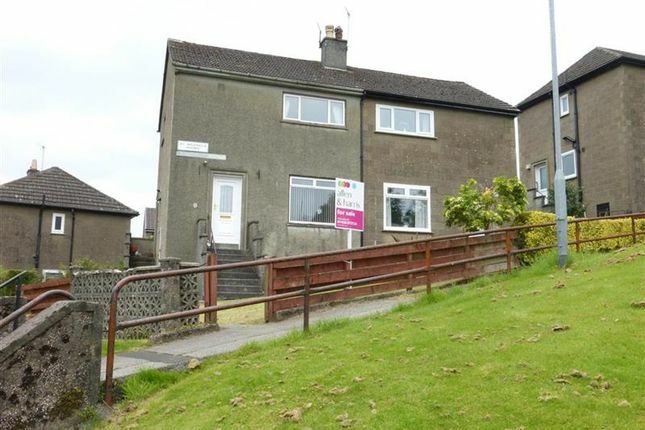 Allen and Harris are pleased to offer this semi detached villa situated close to all local amenities, primary school and Garelochhead centre. Accommodation comprises entrance hallway, spacious lounge, fitted kitchen, two double sized bedrooms and a refitted shower room with electric shower. There are gardens to the front and the rear, with the rear garden being laid to lawn. Further benefits are double glazed windows and a as central heating system. The property is located a short distance from Garelochhead which offers a good range of local amenities including primary school, train and bus services to Helensburgh which offers a wider range of facilities including shops, leisure and transport facilities again with train station offering regular service to Glasgow. The property is offered to the market with no onward chain.